Even though shuttle managers are preparing for two missions in the space of a month, efforts on the downstream flights are at various stages of processing and planning, all the way through to STS-135 – which is currently the LON (Launch On Need) placeholder for what is currently the last shuttle mission – STS-134 – in the late summer of 2010. With Atlantis/STS-125 sat on Pad 39A – and on track for a May 11 launch to service the Hubble Space Telescope (HST) – younger sister Endeavour is being processed to a point of readiness as the STS-400 LON shuttle – in preparation for the highly unlikely and undesirable requirement of launching a rescue mission. Once stood down from the LON requirement, Endeavour will be rolled from Pad 39B to 39A, for final processing ahead of her primary mission, STS-127. Tracking a NET (No Earlier Than) launch date of June 13, Endeavour will deliver her primary payload of the Japanese Experiment Module – Exposed Facility (JEM-EF) and the Japanese Experiment Logistics Module – Exposed Section (ELM-ES) to the International Space Station (ISS), on what is expected to be a 16 day mission. Processing has been relatively trouble free, with only the fleet-wide issue with the ET Umbilical Well Camera Flash system being worked, along with a data transmittion issue with her Space Shuttle Main Engines (SSMEs). “The blank-off plates were installed in preparation for helium signal testing. Communication system validation worked,” noted KSC Integration’s latest report, via L2. “Preps for the hypergolic load have begun, mating the OMS and FRCS QDs (Quick Disconnects). The hypergolic load will be next Tuesday night. Troubleshooting of the ET camera is ongoing. Weekend work has been focusing on the preparations for Prelaunch Propellant Servicing (S0024), while engine and aero surface flight readiness testing (V1046), Ball Seal leak checks, and helium signature tests have been completed. The close proximity between STS-125 and STS-127 will challenge managers and engineers, with the need to safely conclude Atlantis’ mission, and review any IFAs (In Flight Anomalies) from STS-125 – which are subsequently used in the next mission’s Flight Readiness Reviews (FRRs) – ahead of STS-127’s launch. 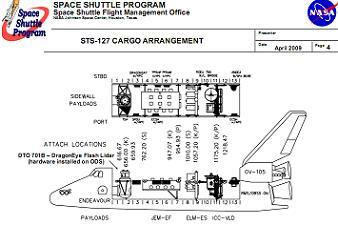 In order to ensure STS-127 isn’t held up during the IFA to FRR overviews, managers will meet while Atlantis is still on orbit to review her IFAs. Usually the IFA review is conducted around three weeks after landing. The pace doesn’t let up after the STS-127 mission is complete, with Discovery back in action following STS-119 for her August 6 launch date on STS-128. A recently proposal to delay the mission by around a week was turned down. Discovery will be prepared for a 13 day, three EVA mission to the ISS that will include the flight of the TriDAR AR&D Sensor Detailed Test Objective (DTO), the next Boundary Layer Transition (BLT) DTO, and the first flight of the OI-34 flight software. The primary payload will be the MPLM (Multi-Purpose Logistics Module) Leonardo – returned from the highly successful STS-126 mission in November – and the Lightweight Experiment Support Structure Carrier with an Ammonia Tank Assembly. Discovery’s Orbiter Processing Facility (OPF-3) is a busy place, with various work focusing on the removal and reinstallation of the RMS (Remote Manipulator System) robotic arm – following a latching issue, replacement of flight deck windows, work on a right hand ET door actuator, and engineering efforts on a Forward Reaction Control System (FRCS) thruster. JSC’s Orbiter Project Office (United Space Alliance) expanded on the thruster issue, relating to a missing stud, which will need to be found – or written off as a non-concern – ahead of flight. On the ET door actuator and RMS, OPO added: “Testing was performed this week on the ET umbilical actuator on OV-103 that failed to retract. It has been determined that the failure mode was not as critical as some thought – it did not fully retract, but it was locked in place. Internal leakage within the actuator is the most likely cause of this failure. “A tag-up was held with OPO. The need to remove the right OMS pod to inspect attach point 2 on OV-103 was discussed. A torque check on this attach point was planned for this flow. Discovery’s flow, referenced above, is proceeding on the timeline, with several milestones due over the coming month. First up will be the arrival of STS-128’s External Tank (ET-132), which is being processed ahead of the timeline at the Michoud Assembly Facility (MAF) in New Orleans. The orbiter will also receive her SSMEs around June 1, with one engine (2048) being reinstalled on Discovery after flying with her on STS-119. Additional work on Discovery’s Main Propulsion System (MPS) plumbing – via the addition of a doubler plate on the three 90 degree elbow bends immediately downstream of the Flow Control Valves (FCVs) – remains on hold, pending the performance of the valves on the next two flights. Engineers are growing in confidence with their flight rationale effort ahead of STS-119, following a liberation event from one valve’s poppet lip on STS-126. However, the doubler will be ready for its debut on STS-128, should it be required. Managers have already decided against its installation on STS-125 and STS-127. “There was a discussion on the need to continue development of a doubler for the FCV line elbow immediately downstream of the FCV,” noted the latest Stand-Up. 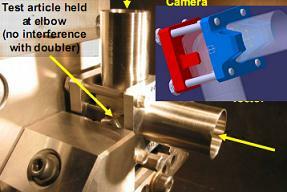 “Testing of the doubler is nearly complete. “Based on flight rationale showing poppet valves inspected to the best of our ability, there does not appear to be a compelling need to install the doubler – the testing will be completed, with the hardware ready if needed. The latest PRCB meeting also outlined the overall status of processing and mission preparation via an impressive 106 page Delta Launch Site Flow Review presentation (available to download on L2). The presentation will be turned into an article in the near future. This mission also underwent the Launch Site Flow Review at a PRCB meeting earlier this month, highlighting numerous post-HST modifications that will be conducted on Atlantis. Processing for this mission is already at an advanced stage, via the missions booster set build-up at the Rotation Processing and Surge Facility (RPSF) at KSC, and External Tank processing at MAF. “SRB/RSRM: Booster Integration (BI-140)/ Reusable Solid Rocket Motor (RSRM 108)/ (RPSF): Nozzle Back Fill RTV skim coat ready-to-work,” noted processing updates on Friday (L2). Stiffener Ring Closeout RT-455 application in work. Atlantis will fly with ET-133, which is also ahead of schedule – another major achievement by MAF on all recent and downstream tanks, following major schedule challenges in the years following Return To Flight. Atlantis was set to receive a wiring modification on a Remotely Operable Electrical Umbilical (ROEU), following lessons learned from Endeavour’s STS-126. “On Flight Day 13 (FD-13), during the mate, latch, relax sequence operation which is part of the ROEU mate procedure to MPLM (Multi-Purpose Logistics Module), phase C of the ROEU AC arm drive motor associated with system 2 (AC2) did not draw the expected current,” note a PRCB presentation relating to the STS-126 issue. 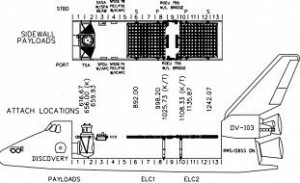 According to the FO&I (Flight Operations and Integration) office, the low amp draw of arm drive motor AC 2 phase C was compensated for by phase A & B of the same motor. When compared with the demate and stow operations performed on FD-4, the FO&I discovered that the signatures were identical. The problem was not an issue for the remainder of the Endeavour’s mission, as the ROEU was properly mated to the MPLM and in a good configuration for landing. All power and data lines were correctly connected to the MPLM and all necessary information for the crew about the MPLM was confirmed through a pressure check of the MPLM later in the mission. Nevertheless, since the cause of the ROEU failure is unknown, “testing and evaluations of wiring and motor will be necessary to determine cause of failure and any fixes,” noted the FO&I. However, further discussions have determined that no work is required, which would have been part of STS-129’s flow. “At the FOICB (Flight Operations and Integration Control Board) meeting on April 20, an IFA regarding the STS-126/ULF2 ROEU was closed with good flight rationale. A safety briefing was discussed regarding two inhibits for contingency EVA where the ROEU did not drive and the crew would have to perform this maneuver manually. Tracking a February 4, 2010 launch date, STS-130/20A, will see Endeavour deliver Node-3 with Cupola to the ISS – thereby installing the final US module and workstation to the ISS. The mission will carry various 20A specific middeck payloads, as well as SIMPLEX, MAUI, and SEITE, for the recently amended 12+1 day mission. “This mission will install Node 3 with the Cupola at the Node 1 port location and then relocate the Cupola to Node 3 nadir. Several racks will be transferred from other locations and installed in Node 3,” outlined MOD’s 8th Floor (L2) overview of the mission when it was baselined. 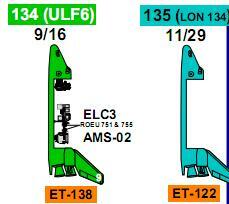 “There are three EVAs planned to support Node 3 installation, Cupola relocation, and Node 3/Cupola outfitting. The mission was originally planned as an 11 day mission. However, the crew office recommended adding an additional day so that EVA 1 can be moved to FD5 to provide additional time to prepare for the spacewalk. Flying with Endeavour will be External Tank ET-134, which is starting to come together at MAF, with the mating of the LOX and LH2 tank taking place over the past couple of days. This mission also received attention from last Thursday’s PRCB meeting, via a 68 page Integrated Launch Site Requirements Overview presentation (available to download on L2). Discovery’s STS-131/ISS-19A flight is currently manifested for March 13, 2010, on a 12+1, three EVA mission. The STS-131 mission will deliver supplies to the ISS via the Multi-Purpose Logistics Module (MPLM) Raffaello and the Light-weight Multipurpose Experiment Support Structure Carrier (LMC). Discovery will also be carrying a LMC with the Ammonia Tank Assembly (ATA) and Passive Flight Releasable Attachment Mechanism (PFRAM). “No crew rotation is planned for this flight. Mission duration is 12+1 days with 3 planned EVAs for S1 ATA R&R, S0 Rate Gyro Assembly (RGA) R&R, ESA SOLAR payload retrieval, and JEM Seed experiment retrieval,” the MOD 8th Floor outline noted. “Flight crew is CDR/Alan Poindexter, PLT/James Dutton, MS/Clay Anderson, Rick Mastracchio, Dorothy Metcalf-Lindenburger, Stephanie Wilson, Naoko Yamazaki. There was discussion at the FOICB on this topic to increase the mission duration to 13 days, which would allow for additional transfer time and EVA1 on FD5. The mission will use External Tank ET-135 and Reusable Solid Rocket Motor set 110 as well as Orbiter flight software OI-34. The latest flight software upgrade. STS-132 will mark the 32nd and final “scheduled” flight of Space Shuttle Atlantis. Targeting launch No Earlier Than (NET) May 13, 2010, STS-132 has been baselined as an 11+1+2 day mission, with three scheduled EVAs (spacewalks) and the option to add an extra EVA should the need arise. For launch, Atlantis will use External Tank ET-136, Solid Rocket Booster set BI-143, and Reusable Solid Rocket Motor set 111. Atlantis will also fly with the OI-34 operating software. To accomplish all of the mission’s objectives, Atlantis will carry the Russian Mini Research Module-1 (MRM-1), the Integrated Cargo Carrier – Vertical Light Deployable (ICC-VLD) with several assorted payloads, along with a sidewall SPA Beam payload. 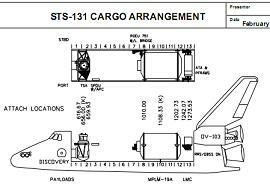 STS-133 was originally manifested as carrying two ELCs (EXPRESS Logistics Carriers), before being realigned to ELC-4, along with a MPLM – likely to be Leonardo – making up the vacant payload space/mass. The mission is currently working to a NET of July 29, 2010, flying with Endeavour and using ET-137. This flight is yet to undergo the baselining process. Both missions are continuing to undergo crew size evaluations, with strong indications from the Astronaut Office that both flights need to avoid flying with a crew size of five – as preferred by the International Space Station Program (ISSP). “Working issues with ISSP regarding a possible reduction of crew members on STS-132/ULF4 and STS-133/ULF5. Strong justification exists that shows a crew of less than six will not be able to accomplish the mission goals,” noted JSC’s Flight Crew/Astronaut Office (L2) on Thursday. “Wednesday was the STS-133/ULF5 template selection meeting. There will be two EVAs on this mission, with 17 weeks of training required. 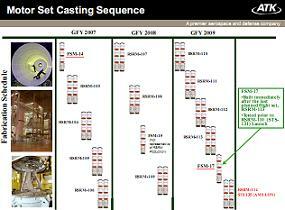 An 18-week template will be baselined to cover the potential of EVA growth. Discovery’s STS-134 mission first appeared on the manifests last year as the LON (Launch On Need) flight for STS-133, but has now become the AMS (Alpha Magnetic Spectrometer) flight. The mission is yet to be baselined – and technically lacks funding – although the latest Senate bill gave strong indications that this mission will fly, with a planning launch date of September 16, 2010. 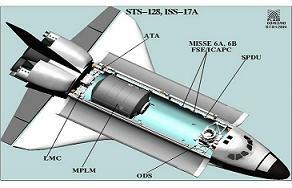 Atlantis will be the supporting shuttle for this mission, taking up the LON contingency role as STS-135. ET-138 will fly with Discovery, while the Hurricane Katrina damaged tank, ET-122, is being refurbished for the LON role with STS-135. No moves have yet been made to provide a full mission role for this flight, which will likely remain the case unless there is approval for an extension of the shuttle program. 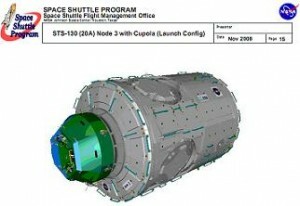 However, the inclusion of STS-134 and its subsequent LON support flight, have bought additional time on the extension decision, with new hardware not due to fly – should the manifest receive additional flights – until 2011, as opposed to after Spring 2010, which was the previous end date for the shuttle program. MAF are already prepared for an extension, should it be called, with part builds of tanks up to ET-141 already complete and now in storage. Further tanks can be produced by refining the programming of new friction weld machinery at MAF, in the event additional ETs are required. ATK also realigned its Flight Support Motor (FSM) schedule for the new manifest, referencing “RSRM-114 (STS-135, AMS LON) completes manufacture: Jan 2010” in their documentation on Thursday (L2), which was also overviewed by the PRCB. The SSP (Space Shuttle Program) also utilized last Thursday’s PRCB meeting to ensure all the supporting elements are in place for the second half of 2010, with regards to SSME testing being arranged throughout what is already a slightly extended manifest (five presentations on L2) – which currently ends in November 2010 with the LON contingency of STS-135. NASA managers have always said they take one flight at a time, and even with major downtime for two RTFs, the program has a historical flight rate of 4.5 flight per year. However, the challenge of flying nine missions in 17 months should not be – and won’t be – underestimated.